Personal data covers both facts and opinions about the individual. With processing, the definition surrounding the intentions of the data controller towards the individual, are far wider than before. For example, it incorporates the concepts of ‘obtaining’, holding’ and ‘disclosing’. NIGHT WATCH SECURITY SERVICES LTD Staff or others who process or use personal information must ensure that they follow these principles at all times. The Director is responsible for ensuring that this policy is applied within the association. The Management Rep is responsible for maintenance, regular review and the updating of this policy. This document sets out the NIGHT WATCH SECURITY SERVICES LTD’S policy and procedures to meet the requirements of the Data Protection Act 1998. It will be made available to employees, students, and voluntary members and other external agencies (having a legitimate interest) upon request, although it is not a substitute for the full wording of the Act. The Management Rep is ultimately responsible for Data Protection, but the NIGHT WATCH SECURITY SERVICES LTD Director of Resources is regarded as the main Data Controller. In practice local Regional staff is designated as local data protection officers to deal with day to day matters and ensure they comply with the Data Protection Act on an ongoing basis. They will often look to Course Managers for support in this. In many cases, NIGHT WATCH SECURITY SERVICES LTD can only process personal data with the consent of the individual and if the data is sensitive, express consent must be obtained. Agreement to the NIGHT WATCH SECURITY SERVICES LTD processing some specified categories of personal data is a condition of acceptance of a student onto any course, membership of the Association being recognised, and a condition of employment for staff. For example, this includes information about previous criminal convictions, in accordance with the Rehabilitation of Offenders Act 1974.Some jobs or courses or other NIGHT WATCH SECURITY SERVICES LTD Activities, will bring staff, students and voluntary members into contact with children, including young people between the ages of 16 and 18 or vulnerable adults. The NIGHT WATCH SECURITY SERVICES LTD has a duty to ensure that all staff is suitable for the job, students for the courses offered, and voluntary members for the NIGHT WATCH SECURITY SERVICES LTD Activity they are involved. We also have a duty of care to all staff, students and voluntary members and must therefore make sure that employees and those who use NIGHT WATCH SECURITY SERVICES LTD Facilities do not pose a threat or danger to other users. Therefore, all prospective staff, students and voluntary members will be asked to consent to their data being processed when an offer of employment, course place or inclusion in other NIGHT WATCH SECURITY SERVICES LTD Activities. A refusal to give such consent may result in the offer being withdrawn. Other relevant policies here are the Criminal Disclosure Checks and Child Protection Policies. This policy will not be incorporated into contracts of employment, but it is a condition of employment that employees will abide by the rules and policies made by the NIGHT WATCH SECURITY SERVICES LTD From time to time. Any failures to follow this policy can therefore result in disciplinary proceedings. Any member of staff, who considers that the policy has not been followed in respect of personal data about themselves, should raise the matter with the Data Controller. If raising the issue with the Data Controller does not resolve it the matter should be raised as a formal grievance.  Checking that any information that they provide to the NIGHT WATCH SECURITY SERVICES LTD in connection with their employment is accurate and up to date. Informing the NIGHT WATCH SECURITY SERVICES LTD Of any changes to information, which they have provided, i.e. changes of address, bank details, etc. Informing the NIGHT WATCH SECURITY SERVICES LTD Of any errors or changes in staff information. if it is computerised, be password protected; or kept only on disk, which is itself kept securely. Voluntary Members should ensure that all personal data provided to the NIGHT WATCH SECURITY SERVICES LTD is accurate and up to date. They should also ensure that changes of address, etc are notified to the Office Manager as appropriate. Any member of the NIGHT WATCH SECURITY SERVICES LTD, who considers that the policy has not been followed in respect of personal data about him or herself, should raise the matter with the Office Manager initially. If the matter is not resolved informally it should then be raised with the Data Controller, and if it is still not resolved it should be raised as a formal complaint through the voluntary member complaint procedure. Personal information is not disclosed either orally or in writing or accidentally or otherwise to any unauthorised third party. Voluntary Members should note that unauthorised disclosure may result in a personal liability for the individual voluntary member, as unauthorised disclosure can be a criminal offence. Any unauthorised disclosure will be investigated as a disciplinary matter and dealt with under the process contained in the NIGHT WATCH SECURITY SERVICES LTD Volunteer Policy. Students must ensure that all personal data provided to the NIGHT WATCH SECURITY SERVICES LTD Is accurate and up to date. They must ensure that changes of address, etc are notified to Regional office staff as appropriate. To provide services to applicants and students. This includes sending information about current and future study opportunities with the NIGHT WATCH SECURITY SERVICES LTD.
To undertake research in order to help us plan and improve our services. We may contact applicants or students ourselves. To provide information about students to other bodies in accordance with government requirements e.g. to the local authorities, the Scottish Executive and other funding or governmental bodies. To provide information about students to other bodies in order to provide accreditation and for audit purposes. To enable other organisations to provide services to students e.g. other institutions who provide educational services as part of our programmes. To produce statistical information for publication and to help us plan and improve our services. Student personal data record will show whether or not the individual consented to be contacted for audit purposes. Student records may be added to a database which may be passed to government departments and agencies and devolved administrations which require it to enable them to carry out their functions under the Education Acts. It will also be used in anonymous form for statistical analysis. Contact details will not be made available, unless individuals have indicated their consent to be contacted as part of an audit of NIGHT WATCH SECURITY SERVICES LTD services. Names will not be used or included in its statistical analysis and precautions are taken to minimise the risk that individuals will be able to be identified from the data. Students will be entitled to information about their marks for both coursework and examinations as part of their support. This is within the provisions of the Act relating to the release of data. However, this may take longer than other information to provide. Updating is required only “where necessary” on the basis that, provided the NIGHT WATCH SECURITY SERVICES LTD Has taken reasonable steps to ensure accuracy (e.g. taking up references), data held is presumed accurate at the time it was collated. All employees, students and voluntary members should be made aware of the importance of providing the NIGHT WATCH SECURITY SERVICES LTD With notice of any change in personal circumstances. Where Individual Student Records (ISRs) are kept, students will be made aware of who to contact in order to access the data for the purposes of ensuring that the data is up to date and accurate. Employees, students and voluntary members will be entitled to correct any details although in some cases the NIGHT WATCH SECURITY SERVICES LTD May require documentary evidence before effecting the correction, e.g. by seeking examination or qualification certificates for amending qualification details. Any personal data which the NIGHT WATCH SECURITY SERVICES LTD Receives and processes in relation to third parties, such as visitors, suppliers, former students and voluntary members, employers, enquirers and other individuals on mailing lists etc. will be obtained lawfully and fairly and dealt with in accordance with the principles and conditions of the Act. Employees should obtain explicit consent from third party data subjects to process such personal data for the purposes expressed and should ensure that there is a mechanism for data subjects to gain access to data about themselves, to prevent the processing of such data for the purposes of direct marketing and to object to the disclosure of such data. This policy is designed to fulfil security person requirements and to prevent unauthorised disclosure of/or access to personal data. The following security measures will therefore be required in respect of the processing of any personal data. Access to personal data on staff, students and voluntary members is restricted to those members of staff who have a legitimate need to access such data in accordance with the NIGHT WATCH SECURITY SERVICES LTD’S notification to the Information Commissioner. Members of staff authorised to access personal data, will be allowed to do so, only in so far as they have a legitimate need and only for the purposes recorded in the notification. All persons processing data and individuals requesting access to personal data in accordance with this policy must have familiarised themselves with this policy. All personal data will be stored in such a way that access is only permitted by authorised staff, including storage in filing cabinets, computers and other storage systems. Any act or omission which leads to unauthorised access or disclosure could lead to disciplinary action. Personal data should be transferred under conditions of security commensurate with the anticipated risks and appropriate to the type of data held. Personal data held electronically should be appropriately backed up and stored securely to avoid incurring liability to individuals who may suffer damage or distress as a result of the loss or destruction of their personal data. The NIGHT WATCH SECURITY SERVICES LTD will keep different types of information for differing lengths of time, depending on legal, academic and operational requirements. NIGHT WATCH SECURITY SERVICES LTD does not transfer personal data outside the UK without the express consent of the data subject.